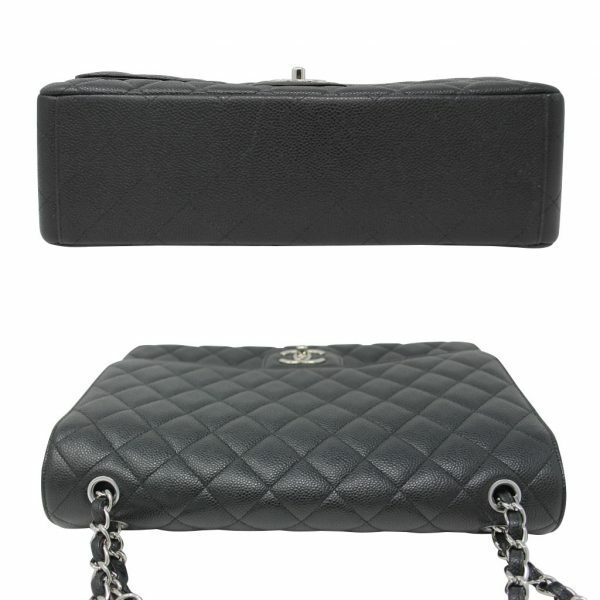 Condition This Chanel Maxi Double Flap Black Caviar SHW Shoulder Bag Purse No. 22 is in excellent condition. 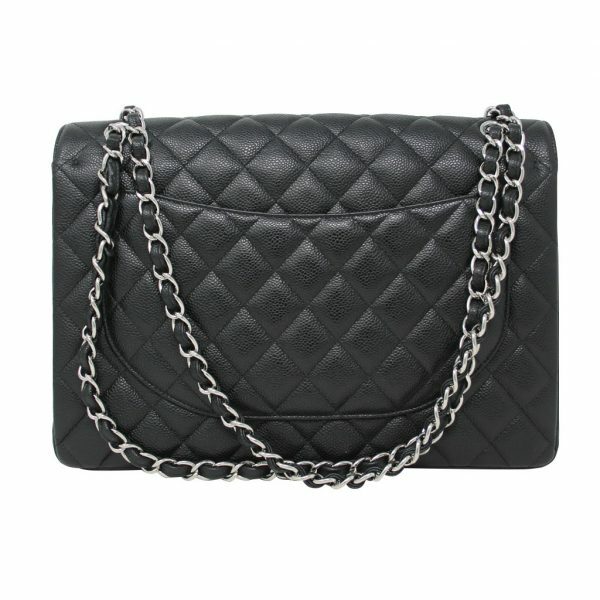 This is one Chanel bag you will not want to pass up! This fascinating black Caviar color is excellent for any season! This bag has very minimal signs of wear and was kept in the original box with dust bag and authenticity card. 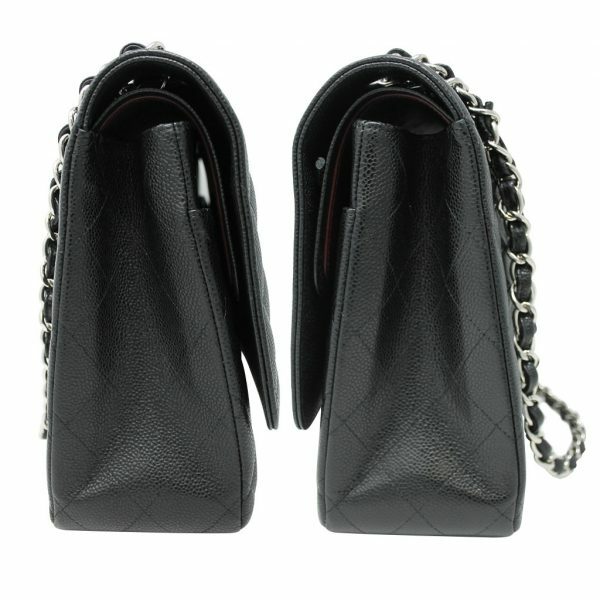 There are no visible scratches, stains or scuff marks on the front of the bag. 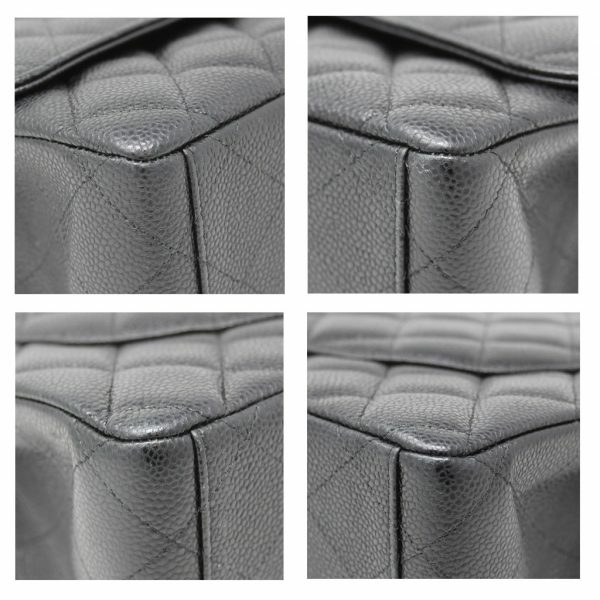 The bottom corners are in great condition but up close you may see very faint scuff marks or smoothing of the caviar leather. There is one pocket on the back pocket of this bag which is in excellent condition. 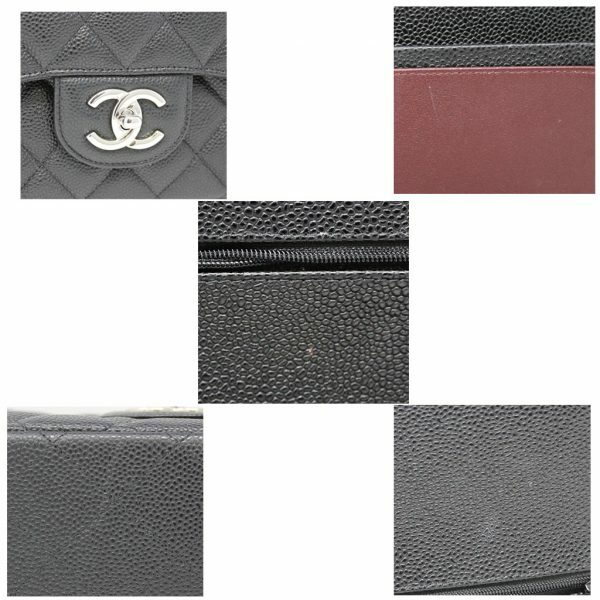 The bottom of the purse shows one small visible scratch in the caviar leather which is visible in the picture listed. 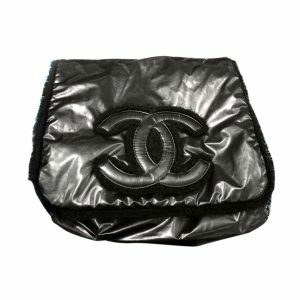 On the front of this bag, you will see the silver tone interlocking “C”s twist lock which shows no visible signs of wear. The silver tone chain with braided black caviar leather can be worn doubled, or pulled to a long single strap. The strap drop for a doubled strap is 11 inches and when pulled to a single strap the drop is 19 inches long. 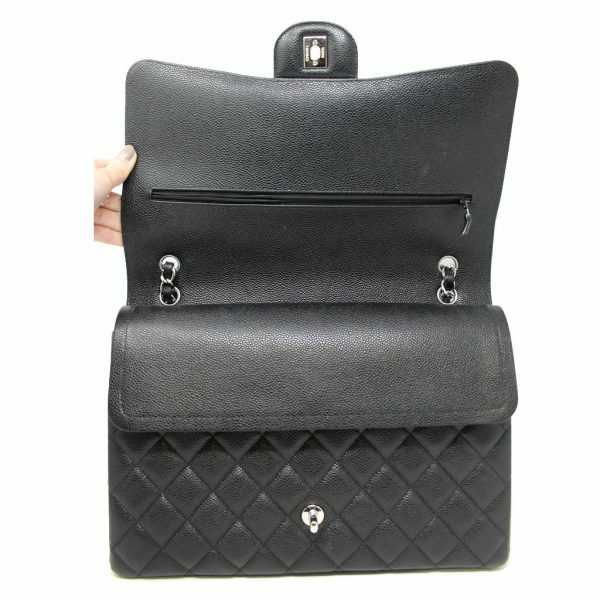 When you open the front flap, you will see very faint make up stains underneath the top flap, near the hidden zipper compartment. There is a hidden compartment pocket behind the second flap which is in excellent condition. Under the second flap, you will see the first pocket compartment, which is in excellent condition. No visible pen marks, make up stains or scratches are visible within the pocket. The main compartment contains two small pockets and does show one small scratch under the second flap which can be seen in the picture listed. 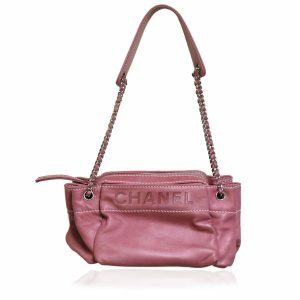 There are no foul odors within this Chanel bag. 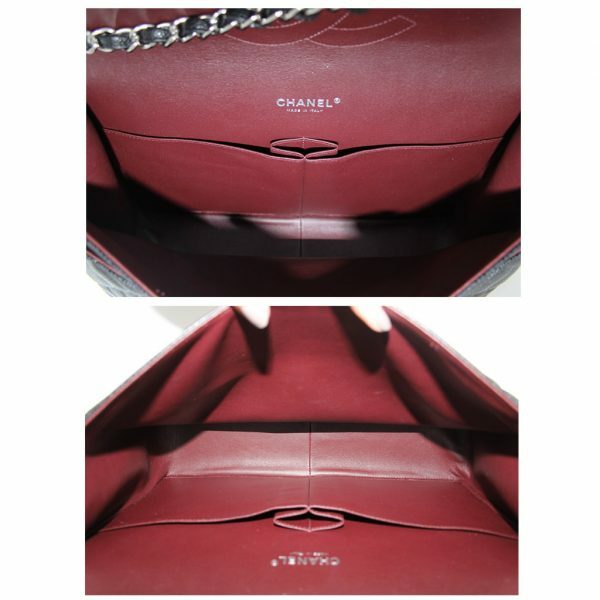 The burgundy lambskin interior lining was kept is excellent condition for its’ age. 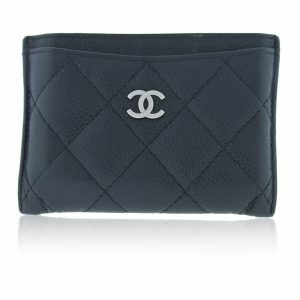 This is the perfect sized Chanel double flap bag for every day use! 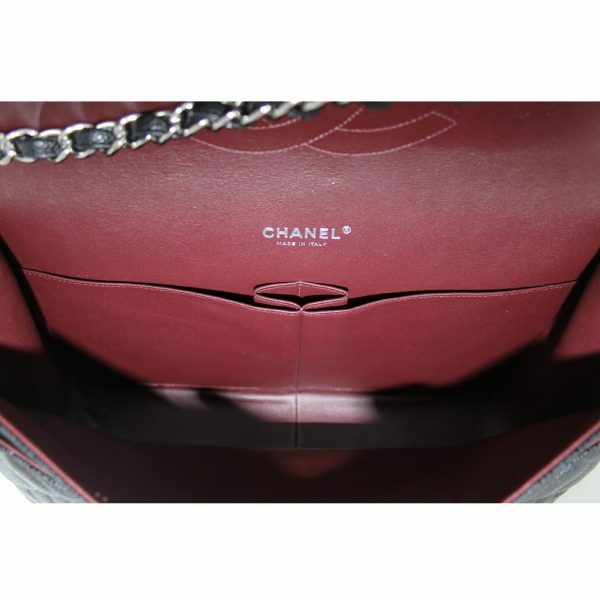 Comes with a Chanel box, dust bag, booklet and authenticity card! Date code is visible within the main interior compartment. 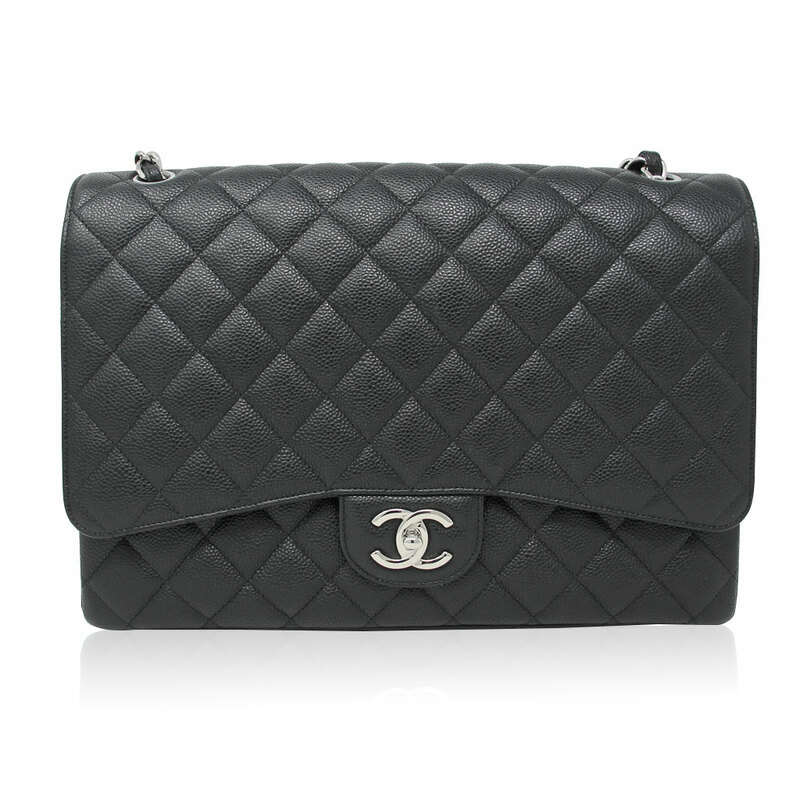 Buy This Chanel Maxi Double Flap Black Caviar SHW Shoulder Bag Purse No. 22 now or make us your best offer!